9 days | From 42180RMB/pers. Raw and largely unexplored, New Guinea still remains a place of wonder and mystery. For the curious traveler, this is a place truly exotic with extraordinary wildlife, art, and peoples. Beginning in the Tari Valley, this tour encounters the colourful Huli people and the surrounding forest known for its beautiful Birds of Paradise and unique species of orchids. 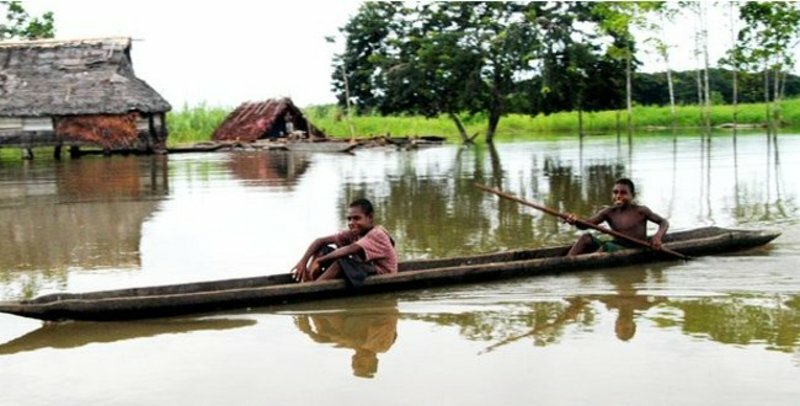 From there, the journey continues to the Sepik Region where you will discover river life on the Karawari River. In addition to exotic parrots and orchids, this region that was restricted for most of the 20th century is also home to spectacular primative art. You will also explore the world of the Melpa people: a world where no white foot had ever trodden until the mid-1930s! Upon arrival in Port Moresby, you will be transferred to the Airways Hotel. In the morning, you will be transferred to your flight from Port Moresby to Tari. The Tari Valley - home of the Huli, a colourful and proud people still largely living the same way that their ancestors did. 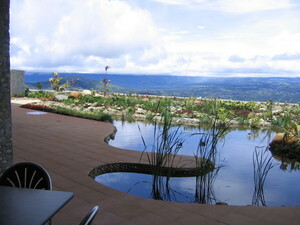 Ambua Lodge is high on the slopes of the Tari Valley, with magnificent views of the valley below and surrounding peaks. The afternoon is spent exploring the area surrounding Ambua. High mountain forests with roaring waterfalls beckon the intrepid traveler. Enjoy two full days of cultural and ecological touring. The Tari area is home to an incredible 13 species of birds of paradise, as well as numerous orchid species. Learn how the Huli live and how they interact with and use their environment. Fly by charter aircraft to Karawari airstrip over some of the most rugged and impressive landscapes in the world. The country between Ambua and the Sepik region is an amazing array of jagged limestone that seem to rise and drop at impossible angles. 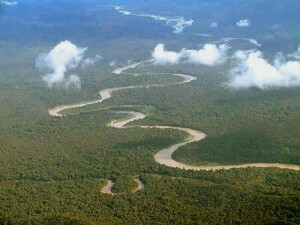 From the airstrip, you will be transferred by river boat to Karawari Lodge. Sitting on a ridge above the Karawari River, Karawari Lodge boasts a spectacular view over hundreds of kilometres of dense tropical jungle. Wake up to the chattering of Lorikeets and Eclectus Parrots. 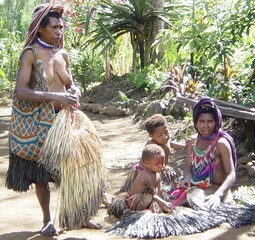 After breakfast enjoy touring programs that provide insight into the amazing ecology and culture of the Karawari area. Fly by charter from Karawari to Mount Hagen, during the flight mountains rise up to startling heights out of the flat lands of the Sepik Basin. 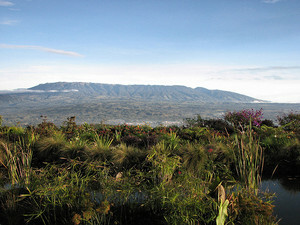 Mount Hagen Town is in the upper Wahgi Valley - a valley with some of the oldest evidence of agriculture in the world. 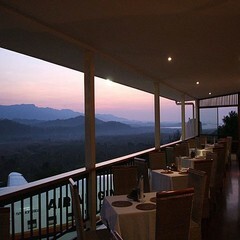 Perched high on Mount Kuta is Rondon Ridge, with unbelieveable views of the Wahgi Valley. A full day is spent exploring the Hagen Area and Wahgi Valley. The Mount Hagen area is the home of the Melpa people, a people with a strong culture, who in the face of modernity, still live largely traditional subsistence lifestyles. 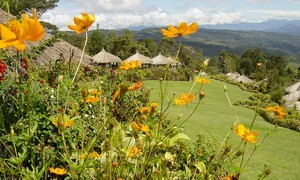 In the mountains surrounding the Wahgi Vally live a stunning array of bird, orchid and plant life. This morning you depart for Port Moresby. Upon arrival in Port Moresby, you will be transferred to your ongoing international flight to Beijing. Special Note Regarding Charters: Maximum baggage allowance is 10kg per person and a maximum of 5kg carry on baggage per person. Large, hard sided suitcases are not permitted on charter aircraft. International or domestic flight air fares or items of a personal nature.